Master Chong’s is proud to offer martial arts in Amherst, NY. Like all of our facilities, our Amherst location offers martial arts classes for children, adults, families, and little tigers (children ages 4 and 5). We offer a flexible class schedule – you come on the days/times that work best for you. See our beginners class schedule below. Get started with our Trial Program to learn first-hand the benefits of martial arts at Master Chong’s Tae Kwon Do. No experience is necessary because we teach everything step-by-step. We even include a free uniform! 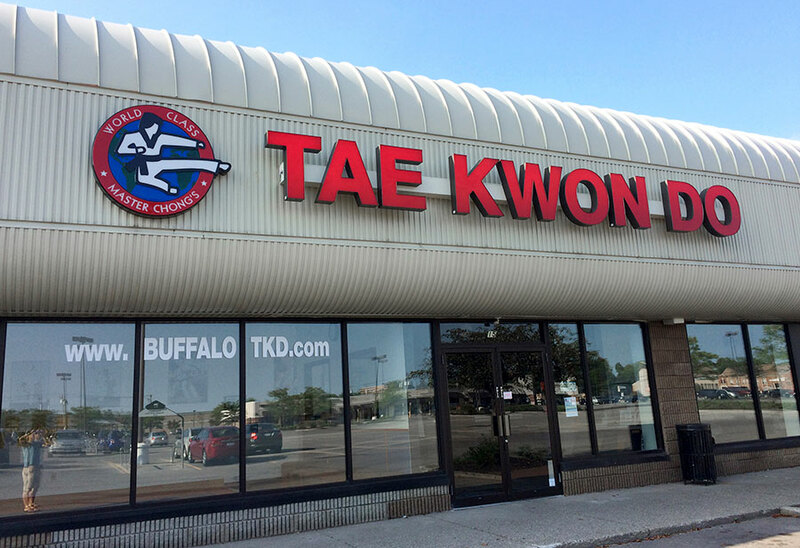 Our Amherst martial arts school is conveniently located in the Burlington Plaza on Niagara Falls Blvd.